ORANGE OBC212 Bass Cabinet 2x 12"
The Orange OBC212 Isobaric Bass Guitar Amplifier Speaker Cabinet is a high-end bass cabinet featuring two 12” Eminence Neodymium speakers. 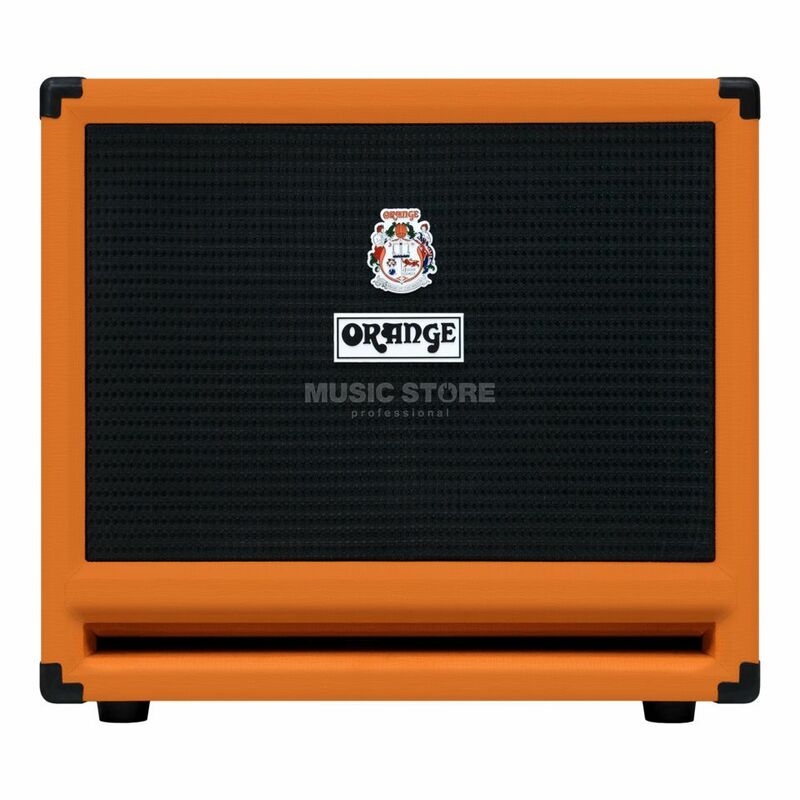 This 600 watt beast delivers a full, rich punch characteristic of Orange gear, whilst the iconic design features ensure you’ll always look as good as you sound. Building on the success of our SmartPower series, the new OBC212 is Orange’s best isobaric bass cabinet yet. This clever design positions one speaker behind the other, creating an airtight, and phase coherent chamber for outstanding projection in a more compact enclosure than a traditional 2×12. Featuring a pair of 12” neodymium Eminence speakers, 600 Watts of power handling and parallel speakon jacks the OBC212 is a perfect mate for a wealth of bass amplifier heads. OBC212 positions two front-facing speakers, one behind the other. The space between the front speaker’s magnet and the rear speaker’s cone is airtight, ensuring that both speakers vibrate in conjunction with one another, thus keeping them in phase. Combined with a slot port for extra low end the OBC212 delivers a seriously punchy sound with a much smaller footprint than a conventional 2×12″. I usually play with 4x10'' cabinets (mostly because of price and availability), and, like many musicians, I always looked for 'that' particular sound. It came to me the first time I plugged my amp head to this little beauty. And I've been doing it ever since, whenever I get the chance. Deep tones from my low-B? No problem... Plus an Octaver? No problem... Simply amazing little beast, when I switched on overdrive and distortion it became a giant growling monster... scary, man! Unfortunately no one ever accused Orange of being cheap so I just keep on looking forward on owning my own.